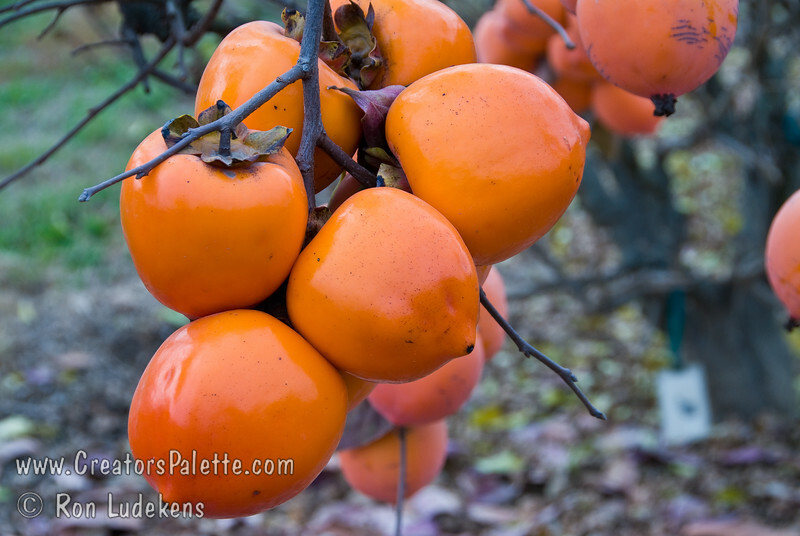 Tanenashi Persimmon - Diospyros kaki sp. A very productive tree that bears at young age. A beautiful, impressive sight when fully loaded. Fruit is medium - large sized, cone shaped with brilliant orange-red skin. Flesh is Astringent until soft. Seedless. Excellent for cooking and drying. Ripens: October. Mature height is 25-35 feet with a spread of 18-25 feet. Requires less then 200 hours chilling below 45º F. Cold hardy to U.S.D.A. Zone 7. Sunset Zones: 6-9, 14-16, 18-24, 26-33.